please see our Compatibility tab. 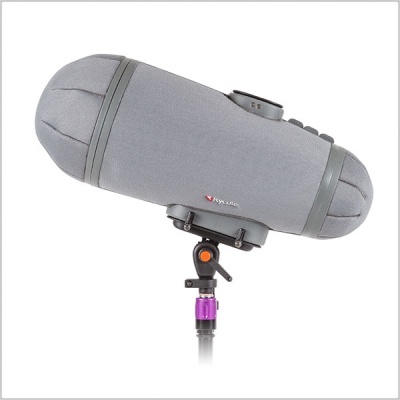 The new Rycote Stereo Cyclone range features a comprehensive selection of professional windshield kits, designed for the popular stereo techniques, such as X/Y, Mid-Side and Double Mid-Side. 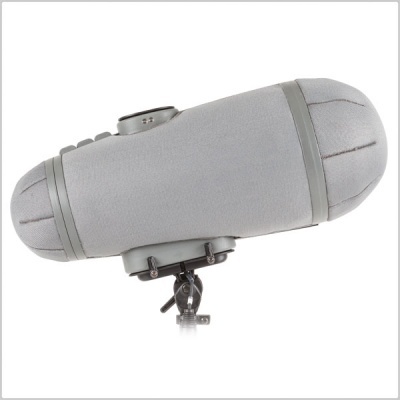 As well as models designed for Single Mic and Ambisonic mic applications. 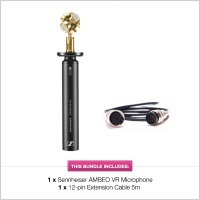 Each model has been individually designed to perfectly compliment specific, popular stereo microphone combinations. 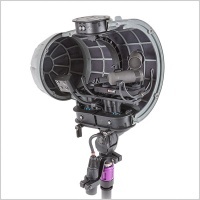 Whether it’s for production sound, broadcast, audio for gaming or wildlife recording – if you use stereo recording to create directionality, perspective, space, atmosphere and realism – there’s a Stereo Cyclone model that’s perfect for you! 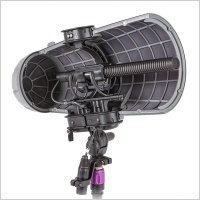 The Cyclone range represents the pinnacle of wind and shock isolation available for audio professionals. 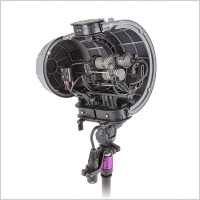 By successfully addressing the design challenges presented by the introduction of multiple microphones, we are now able to offer the stunning performance of Cyclone for stereo microphone applications. Our unique design approach has enabled us to keep overall size as compact as possible – so most Stereo Cyclone models feature our Small or Medium Cyclone basket sizes. Each and every Stereo Cyclone windshield is individually hand-built in our factory in Stroud. This very specialised manufacturing process is carried-out by a highly-skilled Rycote technician, and takes many hours to complete. A sleek new Connbox design. Specific to each stereo configuration. 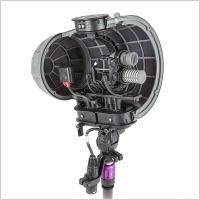 Designed specifically for internal cable routing, isolation and vibration reduction, we took our original Connbox and redesigned it for stereo and multichannel microphone configurations. 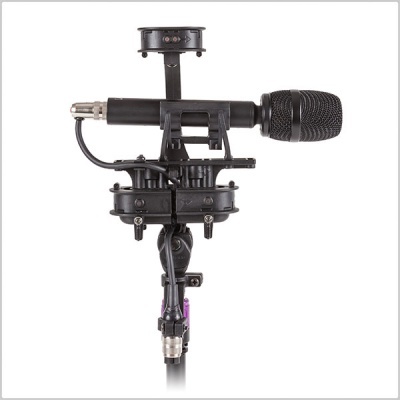 Each Connbox has been uniquely built for a specific mic setup. Every wire and connector has been precisely measured to offer maximum performance. This completely effective and ready-to-use solution to connection problems means you don’t have to worry – just plug in your microphones! 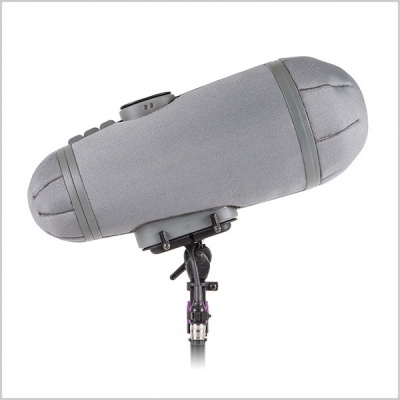 Rycote uses its industry-leading Lyre® microphone suspension to reduce the bulk of shock and handling noise. Stereo Cyclone also features the Rycote Floating Basket Suspension* (patent Pending): an innovative design that prevents natural resonances and vibrations from bypassing the main suspension and radiating from the structure of the basket itself (an effect known as ‘acoustic re-radiation’). Stereo Cyclone takes the Lyre principle and incorporates it into the portions of the suspension that connect directly to the basket; the entire structure ‘floats’, isolating problem internal vibrations originating from boom poles and other sources. Stereo configurations are particularly susceptible to the effects of acoustic re-radiation, since more microphones point at the overall surface of the basket: that’s why we made extra sure the Floating Basket Suspension was incorporated. The result is a windshield with superb vibration isolation. Like our existing Cyclone range, Stereo Cyclone features an open-cell structure consisting of curved contours and no straight or parallel surfaces, which greatly reduces room-tone effects inherent in conventional tubular windshield designs. The aerodynamic, asymmetric basket design and our unique, acoustically transparent 3D-Tex® material provide enormous benefits in terms of surface turbulence and acoustic impedance. The unique design of Cyclone shifts the overall bulk to the basket front. This aerodynamically efficient asymmetric basket covered with 3D-Tex material provides enormous benefits in terms of surface turbulence and acoustic impedance, resulting in wind-noise reduction comparable to the combined modular-style windshield / fur cover performance. In truly extreme weather conditions, an optional Cyclone Windjammer can be used to deliver wind-noise reduction that far exceeds any other windshield system available today. 3D Tex® Material: 3D-Tex® material provides enormous benefits in terms of surface turbulence and acoustic impedance. Magnetic Z-Locking System: Magnetic Z-Locking System that can be opened and closed in the blink of an eye – using just one hand. 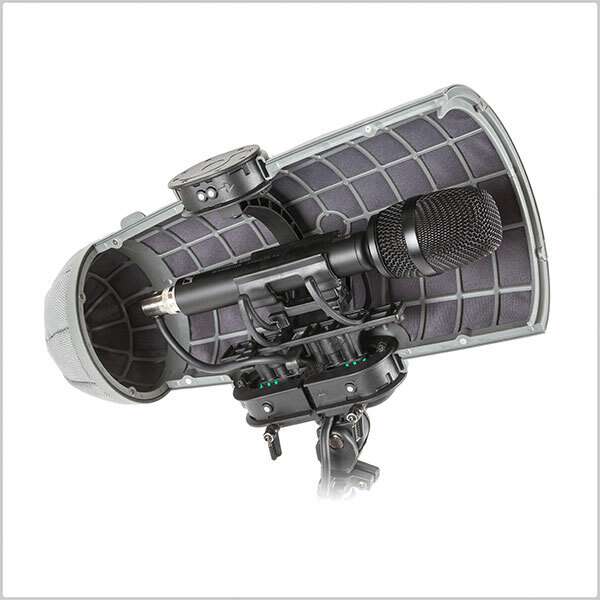 Multi Suspension: Cyclone takes the Lyre® microphone suspension and incorporates it in a Floating Basket Suspension. From microphone windshield to suspension in the blink of an eye. 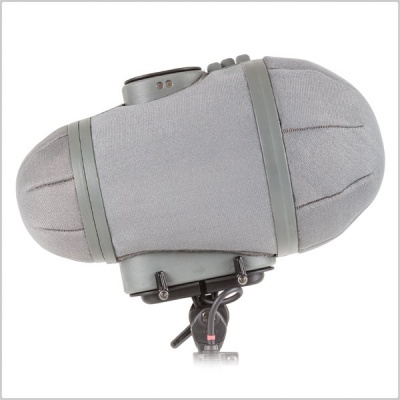 Imagine a windshield that can be removed from or attached to the suspension in an instant using just one hand – allowing audio professionals to capture the best possible audio at any moment – in any environment. This is the unique benefit of Rycote’s Z-Locking System. Reassembly is automatic, and components magnetically snap into perfect alignment. Superb acoustic transparency: The Windshield combines superb acoustic transparency with an equal effectiveness in protecting against wind noise. Open shell structure: Open shell structure, curved contours and no straight or parallel surfaces. 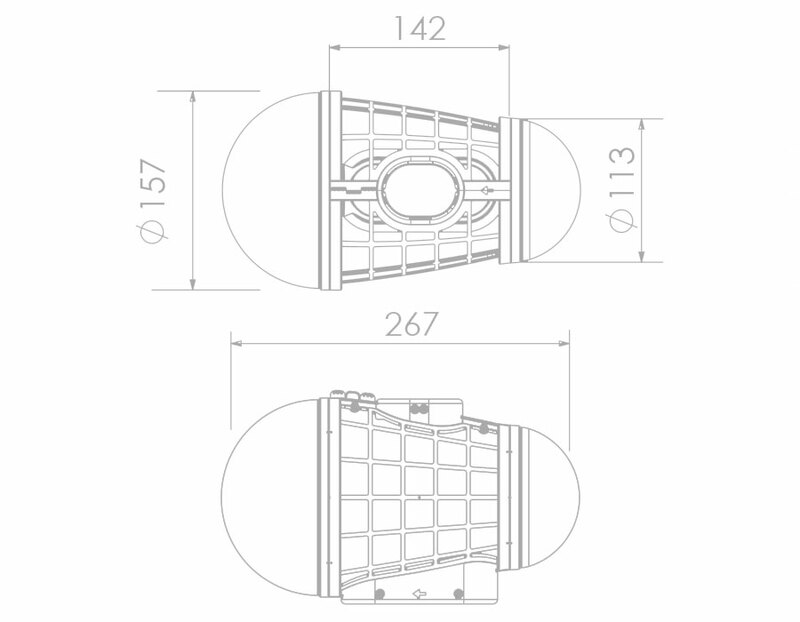 Reduced handling noise: Innovative technique provides vibration isolation between basket and pole. Consistent performance with low maintenance. Location sound mixers require equipment that will not only withstand extreme conditions, but also maintain consistent performance. Maintenance is often a time-consuming, yet necessary evil. 3D-Tex was developed for both outstanding performance and ease of maintenance. Dust it off after mild use or rinse and air dry after heavy use to maintain outstanding, transparent and consistent performance for years of faithful use. Extreme weather recording: For extreme “weather warning” conditions an optional Windjammer allows previously impossible recordings. 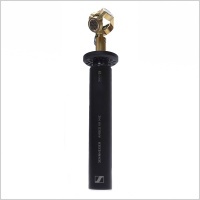 Lyre® technology: Cyclone uses Lyre® microphone suspension to reduce the bulk of shock and handling noise. Reduced room tone effects: Reduced room-tone effects that characterise conventional tubular designs. 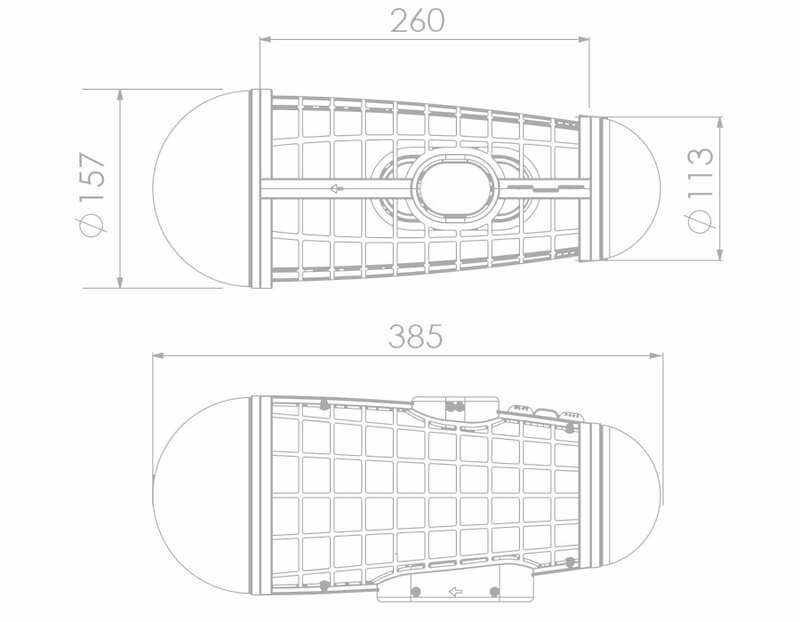 There are three main sizes available for the Cyclone windshields. It is all dependent on which microphone setup you use. 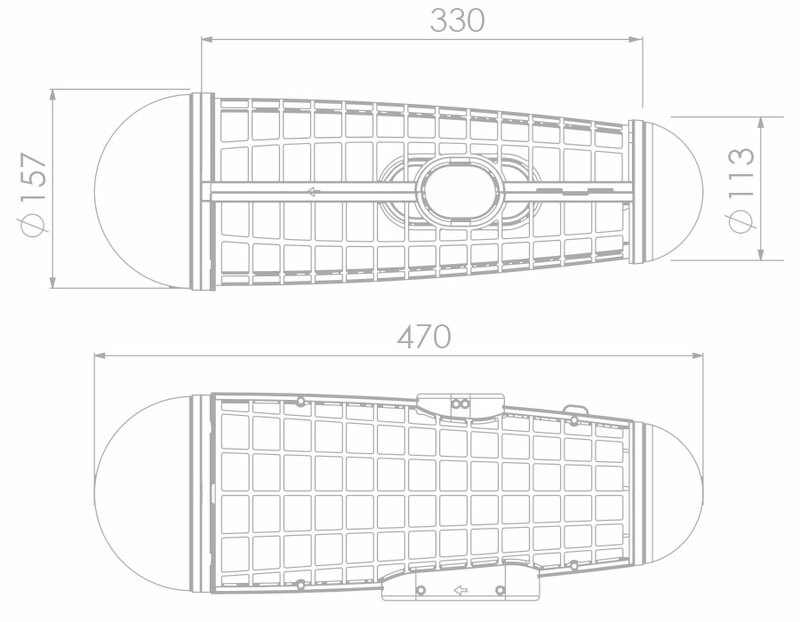 Here are the external dimensions for each size of windshield. 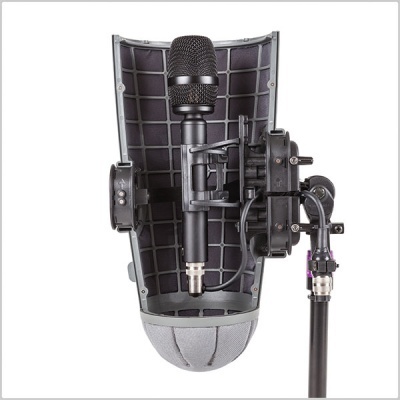 For a comprehensive guide on which size windshield you will need for your microphone setup, please see our Compatibility tab.